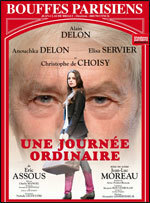 Une journée ordinaire... qui pourrait se transformer en soirée extraordinaire.... . Wallpaper and background images in the Alain Delon club tagged: alain delon sylvie friendship. Have you noticed he's always on theatre for my BD ? Yeah that's right!!! He did it cause he knows your BD Bestie!!! Do you want to see him ? Of course I'm ready!!! I'm always ready for you Bestie and you know that. I'm always ready for fun with you and I know I can't compete with Him!!! I'm sure you will forget your back and run faster than speedy gonzales when you'll see Him!! but I'm ready to go for this date :)))) but with you ! OK Bestie let's go!!! We'll talk about that tomorrow.